"The War on Drugs is unwinnable and the biggest problem is that the CIA protects the most powerful drug dealers in the world. ... "
LONGMEADOW - Author Douglas Valentine began his writing career planning to write poetry. But life, as it often does, took him in a completely different direction. With the recent publication of his fifth book, The Strength of the Pack, about the politics and intrigues surrounding the Drug Enforcement Administration, Valentine completes his work on the history of federal drug law enforcement in this country. Along the way, he logged thousands of miles and interviewed hundreds of former narcotics agents, politicians and bureaucrats. He has won distinction and awards for his work, while at the same time encountering opposition in his pursuit of the truth. "This is heavy-lifting writing," explained Valentine, who lives in Longmeadow with his wife, Alice. "I was dealing with a LOT of facts and I had to keep them in order and coherent. I had to write on so many levels - for people with no understanding of the subject, for those on a journeyman's level, those on a Ph.D. level, and those on an intuitive level. I was constantly writing at all these levels and it had to be seamless." He added, "The DEA and CIA were also watching every move I made. And I had confidential sources, whose egos are gigantic, so I couldn't get anything wrong. I was writing for that audience, as well." Roger Morris, author of best selling books about Richard Nixon, Henry Kissinger and the Clintons, said of The Strength of the Pack: "Valentine belongs to that precious remnant of journalists and historians with the wisdom to see our time, the integrity and courage to write about it, and the literary grace to bring it all chillingly alive. This indispensable book may quite well be the best yet in the author's already singular body of work." Valentine began his research 20 years ago. His previous book, The Strength of the Wolf published in 2004, chronicles the history of the precursor to the Drug Enforcement Administration, called the Federal Bureau of Narcotics. 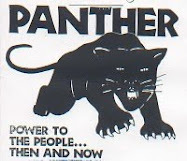 The book covers the period from the bureau's inception in 1930 to its termination in 1968. 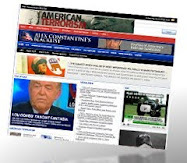 It was considered a groundbreaking work of investigative reporting and received the American Library Association's Choice Academic Excellence Award. 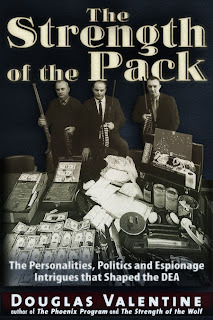 The Strength of the Pack picks up the story in 1968 (where Strength of the Wolf left off) and describes the creation of the DEA, its unsuccessful war on drugs and its connection with the CIA. He went on to say, "The War on Drugs is unwinnable and the biggest problem is that the CIA protects the most powerful drug dealers in the world." "The media may say that I am anti-American. But actually, the opposite is true. As a country, we can protect ourselves in the light of day as easily as protecting drug warlords. I have been fighting the establishment. You can't do this without setting the highest standard of achievement for yourself. It's exhausting. I'm relieved to be done," he said. During the research and writing of these two huge works, Valentine has fought another battle, as well - a physical battle. He has neuropathy, a neurological disorder that causes nerve damage and resulting pain, especially in his hands. He also suffers profound progressive hearing loss, which continues to worsen. "Getting old doesn't help, either," he joked. Often mistaken for someone in his early 40s, Valentine turns 60 this year. He published his first book, The Hotel Tacloban, in 1984. It is the story of his father's experiences in a Japanese prisoner of war camp. "I found," he said, "that writing non-fiction could touch readers as deeply as fiction and poetry, and say what it is to be an American." It was the beginning of his writing career, which includes many articles as well as five books. In all of his work, he has striven to shed light on three major issues of his time - the Vietnam War, the war on drugs, and race in America. With his second book, The Phoenix Program published in 1990, Valentine made a name for himself. Publisher's Weekly said of it, "No book to date conveys the hideousness of the Vietnam War as thoroughly as this one." The book is widely read on college campuses and is used as a resource by other writers. "I'm quoted all the time by other writers," Valentine said. "I'm an original source that people can go to and trust." The original research material for The Phoenix Program, including handwritten interview notes and government documents, is housed at the National Security Archive in Washington, D.C. in the Douglas Valentine Vietnam Collection. His new book, The Strength of the Pack, is available through the publisher, TrineDay Publishing, as well as at Amazon.com and Barnes and Noble. "I've made my contribution," Valentine concluded. "I feel like I've succeeded in what I set out to do and now I can relax and write fiction. Some of the stories I came across in my research, I left out of the books - maybe some of the best stories. Now they can be turned into fiction."